Stock # 11480, 3.5L V6 EFI DOHC 24V, 8-Speed Automatic, 17 mi. 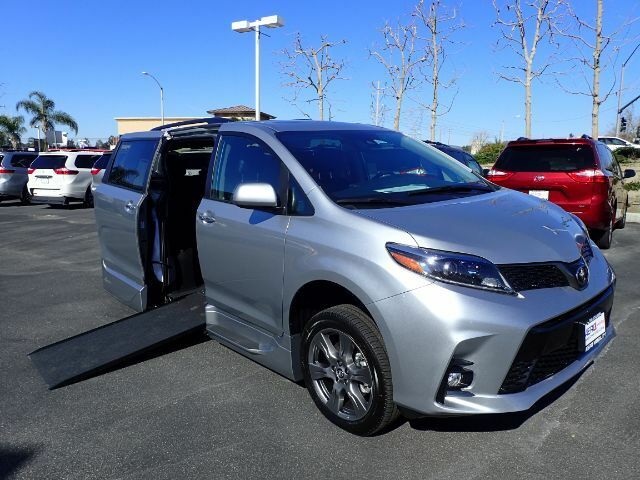 Wheelchair & handicap accessible 2019 Toyota Sienna SE with an infloor automatic ramp. Brand new Northstar conversion by Vantage Mobility (VMI). You'll love the 4.2" touchscreen display with a backup camera and Bluetooth connectivity. Keyless entry, 3-zone climate control, and rear fold down footrest for increased comfort. Both front seats remove so chair rider can sit in the first row. 30" power ramp with a push-button remote.